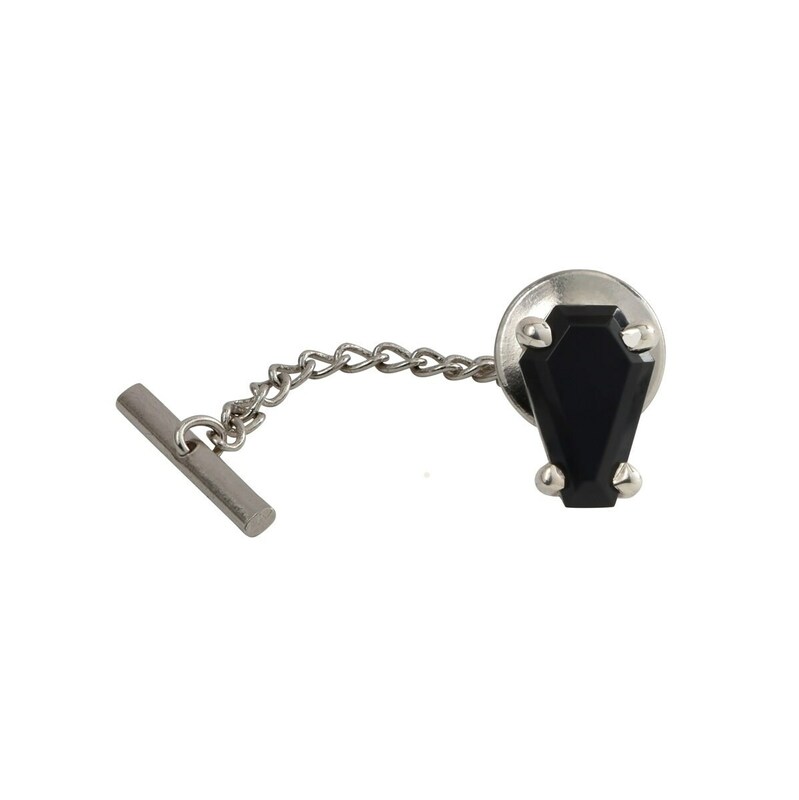 Coffin Gems® - TIETACK & LAPEL PIN - in Death Black! A beautiful "finishing touch" for a tie or lapel, your choice of one of my 3ct Coffin Gems® Death black onyx stone, set with a combination tietack/lapel pin back. We use USA grade (.925) sterling silver in all of our jewelry designs. Regularly $99.99, get this ready made one for $59.99.